The As J.N. Hilliard said “card fanning is the latest decorative feature in magic”. 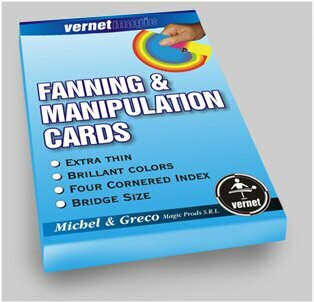 Vernet Magic is very proud to presents its “Fanning and Manipulation Cards”. These cards were originally design by Vernet and allow you to perform beautiful card fanning and productions. 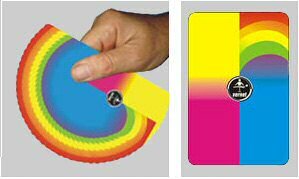 Each card has brilliant colors on it back so you will able to perform fantastic combinations when fanning it. The cards have indexes in all four corners and are extra thin. You can almost back palm an entire deck!